« Open Writing Hours Today! WriterHouse will be offering the volunteer operated Open Writing Hours today. 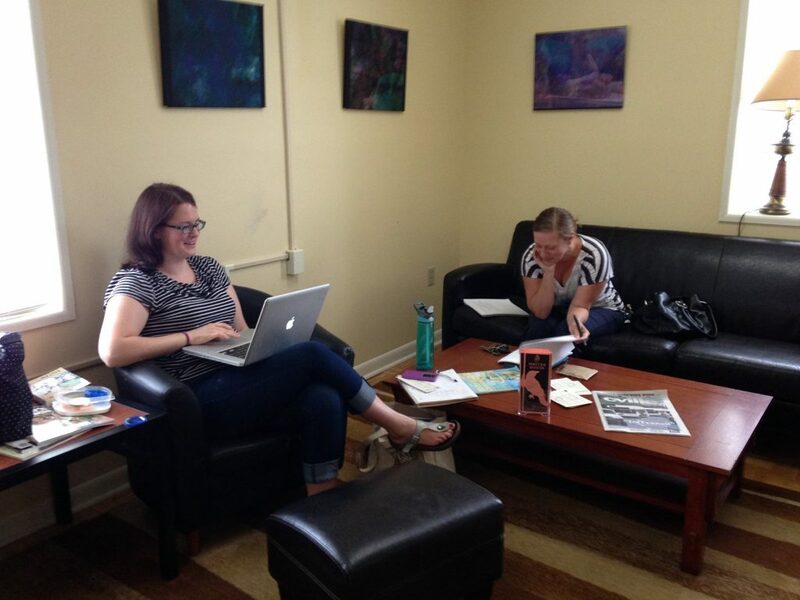 Come in and enjoy a nice quiet place to write, meet with your writer friends, and have a cup of coffee on the house. Want to see more open hours? We do too! Become a volunteer for WriterHouse today to help us promote the creation and appreciation of the literary arts in your community. WriterHouse, Inc. is a non-profit organization, exempt from Federal income tax under section 501(c)3 of the Internal Revenue Code, and registered as a charitable organization with the Virginia State Office of Consumer Affairs. A financial statement is available from the State Office of Consumer Affairs in the the Department of Agriculture and Consumer Services upon request.